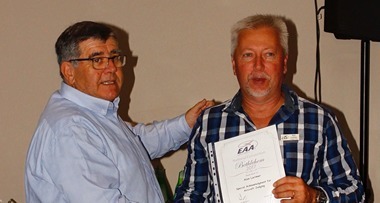 Juri and left Krugersdorp on Saturday 29 April in his RV-7 for the 50 minute flight to Bethlehem to attend the EAA of SA National Convention hosted this year by Chapter 1500 and the Bethlehem Aero Club. Originally we had planned to leave FAKR (Krugersdorp) at 07:30 but fortunately were informed that Bethlehem was fogged in with no landings possible so we had coffee with Dale de Klerk of Alpi Aviation. 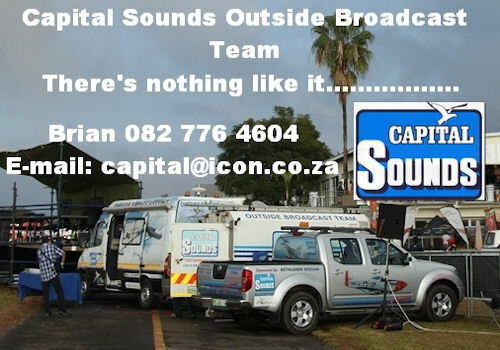 We eventually departed just before 09:00 and the skies were clear until just past Vereeninging when we encountered a bank a mist that stretched all the way to Petrus Steyn. 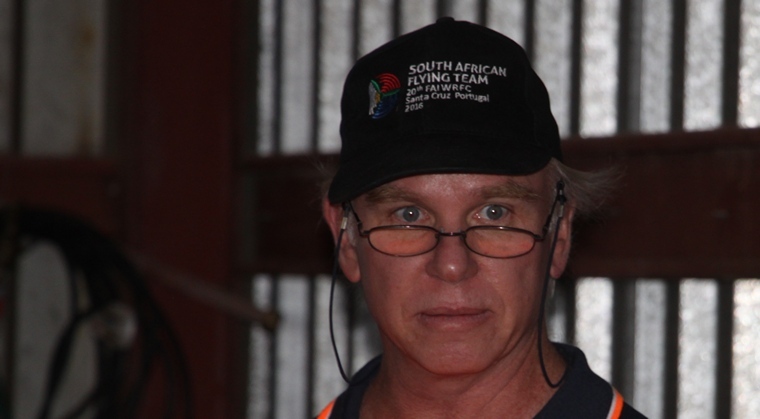 Conditions forced a number of aircraft to return to their home fields whilst misty condition at most Gauteng fields forced some to abandon their plans or to delay take-off until much later. Fortunately, Bethlehem was clear when we arrived. 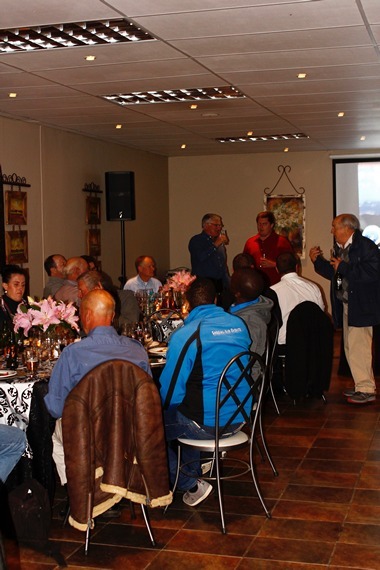 It being a long weekend and the eastern Free Sate a popular tourist destination accommodation problems forced the organisers to move the dinner originally planned for Saturday evening to Sunday. Because of work commitments (some of us must keep the economy going) we had to leave Sunday afternoon. 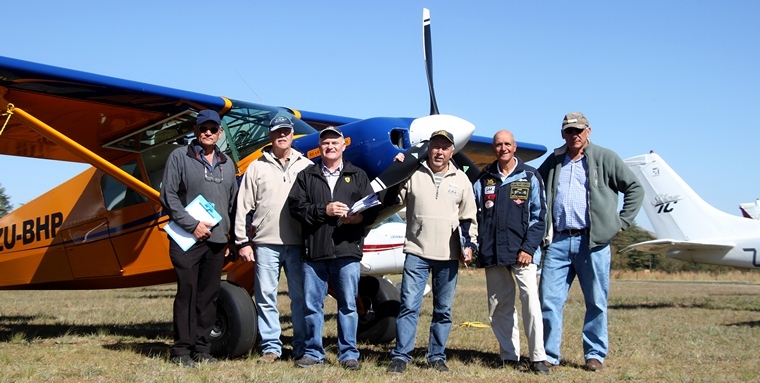 A Fun Rally (Please see Rob Jonkers's separate report) was organised for Saturday and whilst that took place a shuttle took those that wished for less strenuous activity to the jewel of the eastern Free Sate, Clarence where apparently much fun was had. Braai packs were available, the fires lit and it was time to relax and swap stories. 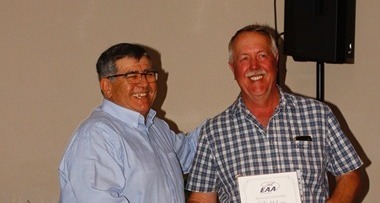 A shuttle service arranged by Phillip Jacobs of the Bethlehem Aeroclub and owner of the Hyundai dealership safely transported visitors to and from their accommodation. Sunday was a busy day. 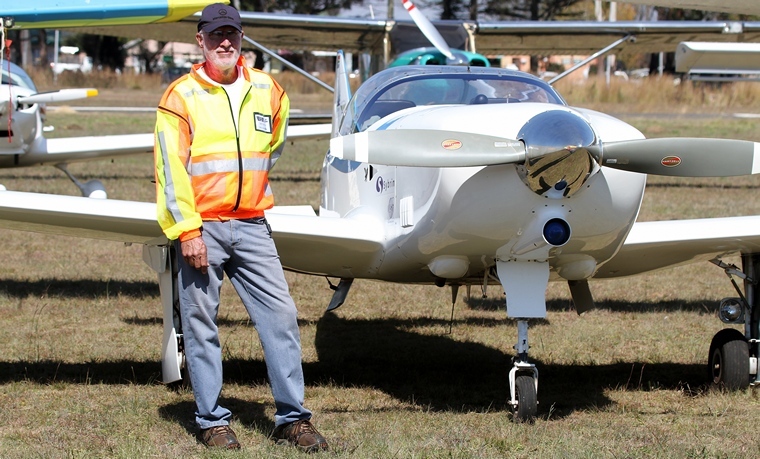 Aircraft judging took place on the grass apron��. 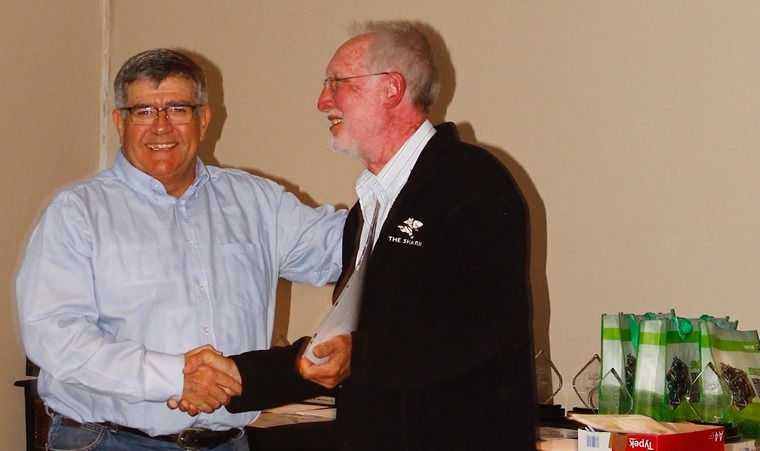 Tony vd Heuvel's GP4 ZU-CLC won the Best Wood Aircraft Trophy. whilst presentations on various subject with an aviation theme were held in one of the hangers. 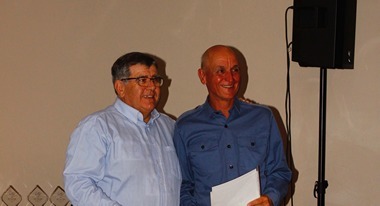 Because of other commitments we could not stay for Sunday's dinner and award ceremony and departed at 16:00 and flew in glorious conditions all the way to Krugersdorp. 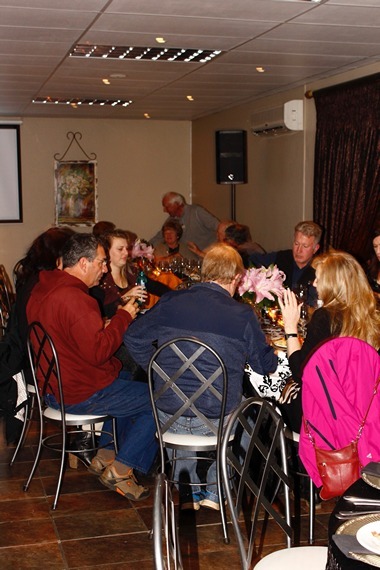 Sixty guests attended the dinner that was held at the Lavender Lodge. 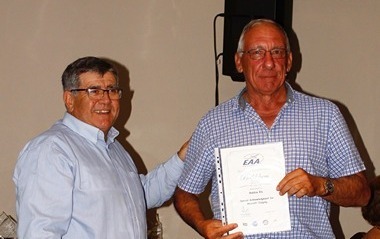 Gerald Maddams, Chairman of EAA Chapter 1502, was made an Honorary Life member of EAA, in recognition of his continued membership since 1972, together with his contributions to EAA activities over the years. 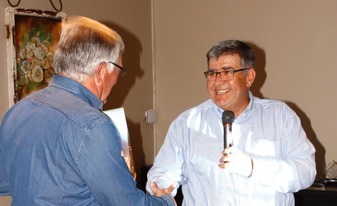 He was also awarded the Dave Smith Memorial Cup for his contribution to promoting the cause of EAA. 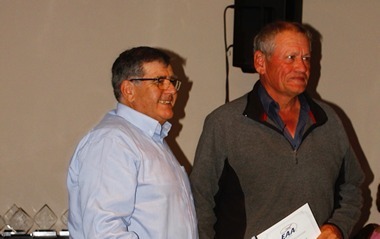 As usual the hospitality of the Bethlehem Aero Club was out of this world and the organisation of the Convention superb. Congratulations to all concerned.